On Monday, you’ve seen a few of the Barbie Basics glammed up by CFDA designers Alexis Bittar, Justin Guinta and Tory Burch, here’s a peek at all 12! 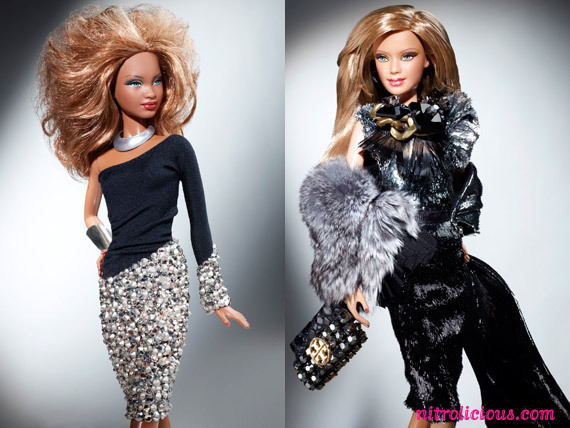 Mattel recently introduced a Barbie Basics doll wearing the iconic little black dress, the dolls can be customized to represent your own personal style with the ultra-chic accessory packs, including shoes, scarfs, jewelry and more! Whether you prefer glam or urban, bling or girly, these accessories inspire creativity and reinvent a fashion staple. 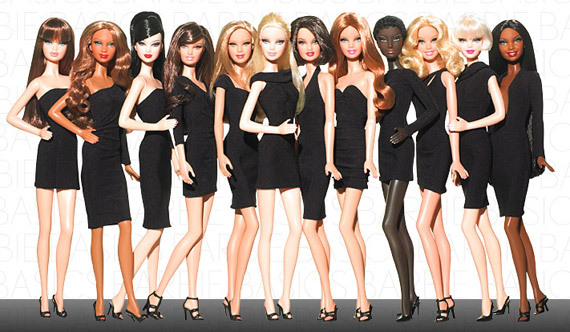 To celebrate the launch of the LBD-loving Barbie Basics line, 12 CFDA fashion and accessories designers, including Isaac Mizrahi, Betsey Johnson, Rachel Roy, Justin Giunta, Lorraine Schwartz, Alexis Bittar, Monica Botkier, Deborah Lloyd of Kate Spade, Tory Burch, Albertus Swanepoel, Phillip Crangi and Devi Kroell, created one-of-a-kind dolls spotlighting their unique points-of-view. Starting January 28th at 10pm EST through February 7th, these individually styled pieces of art will be auctioned off on eBay with the entire net proceeds directly benefiting CFDA education initiatives and scholarship program. The opening bid begins at $100. In the spirit of giving, Barbie will also be giving away one of her stylish new Barbie Basics dolls with an accessory pack every day on her Twitter from February 1-16. Follow her @BarbieStyle for the latest details!